Using beer rankings from BeerGraph’s BAR Score (Beers Above Replacement), below is a side-by-side comparison of the top rated beer brewed in each state with their respective BAR scores against a map summarizing the the political leanings of the country over the past decade. 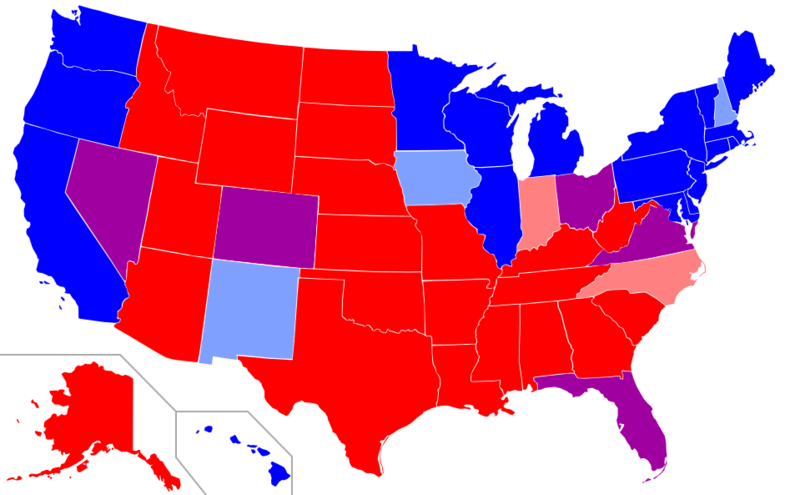 The states with their top beer representing a higher overall BAR score are shaded in blue and the states with their top beer representing a lower BAR score are shaded in red (purple in between). Looks like our beer and politics are closely aligned. Hover over the state to see what the top rated beer is and it’s score. As the states top beer score increases so too does the state’s liberal leanings.